Do you love children? Do you have passion for looking after kids? Are you interested in starting a daycare center? Do you need a sample daycare business plan template that will help you to launch your own childcare center? Now despite the current economy, daycare businesses can be very lucrative. This is because times are changing. The economy in Lagos is getting tougher and parents are getting wiser. 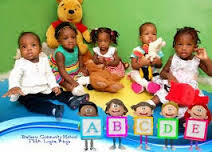 In this present time; being a stay at home mother in Lagos is no longer feasible. Current economic trend now demands that both parents need to work and jointly contribute financially to the welfare of the kids. Now who takes care of the kids while the mom and dad is away? So rather than parents expending most of their income on paying a babysitter, they have resorted to taking their children to a daycare center. A day care center provides a temporary but secure place, where children aged between five months and eight years can be cared for while their parents study, attend appointments or carry out other tasks. Aside taking care of children on behalf of their parents daily, a daycare center may also provide basic tutoring and educational activities to these kids. Babies interact with one another and develop the ability to express themselves at a tender age, through the supervision of a qualified attendant. Apart from the fact that running a daycare business is very lucrative, as a daycare business owner, you are in control of how much money you make on a daily or monthly basis; you are in control of your time and you also decide what kind of client to take in. 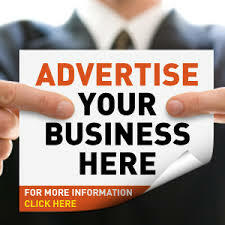 In this business, you will truly be your own boss. Daycare centers can be started with very little overhead and you can also start this business from home to cut startup cost. The major expenses involved in starting an in-home daycare center are licensing, insurance, advertising, and food. One thing with running a daycare center is that if one child comes in with an infection, then there is high possibility that other children in the daycare may get infected too; and this is not good for business at all. So the best action to take is to identify such a child and isolate such individual as soon as possible. b. This business is not capital intensive, but it is management intensive and can lead to fatigue on your part. Handling quite a number of children is a herculean task and if you are not up for it, you will give up too soon. You will also have to prepare yourself for legal issues that may arise as you run your business. One thing I have learned in business is that sh*t happens and happens fast. A child may be involved in an accident or even die while under your custody. So you have to get a good attorney and a good insurance policy long before these things happen. h. Another challenge you will face is to find employees that are health conscious, take good care of their personal hygiene and love children. Just as I pointed out earlier, running a childcare is not about the money, it is all about the passion and such passion must reflect in your employees.